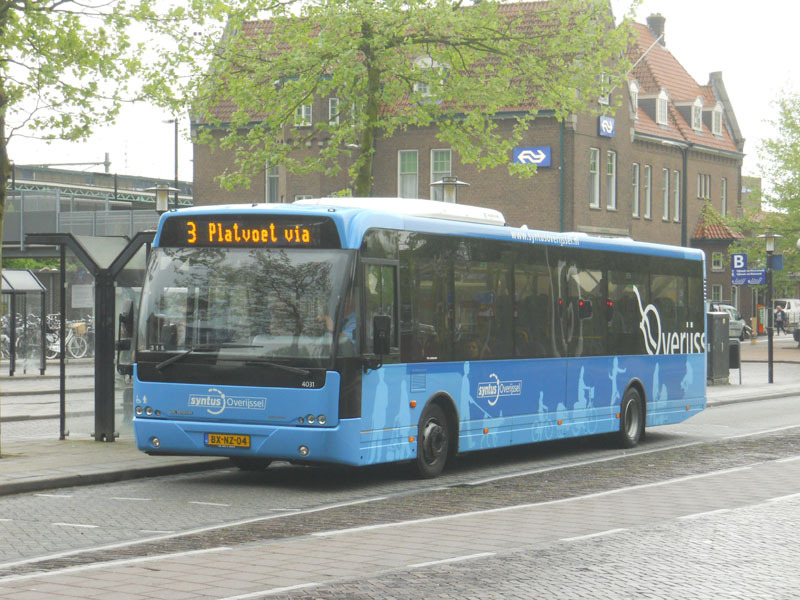 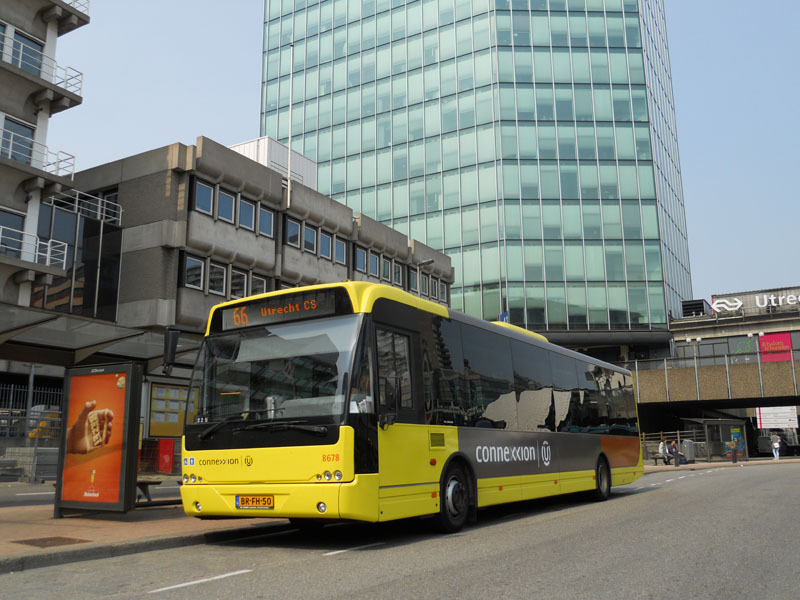 For years all buses in The Netherlands were yellow and were operated by state owned companies. 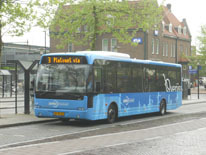 It was all very stable and predictable. 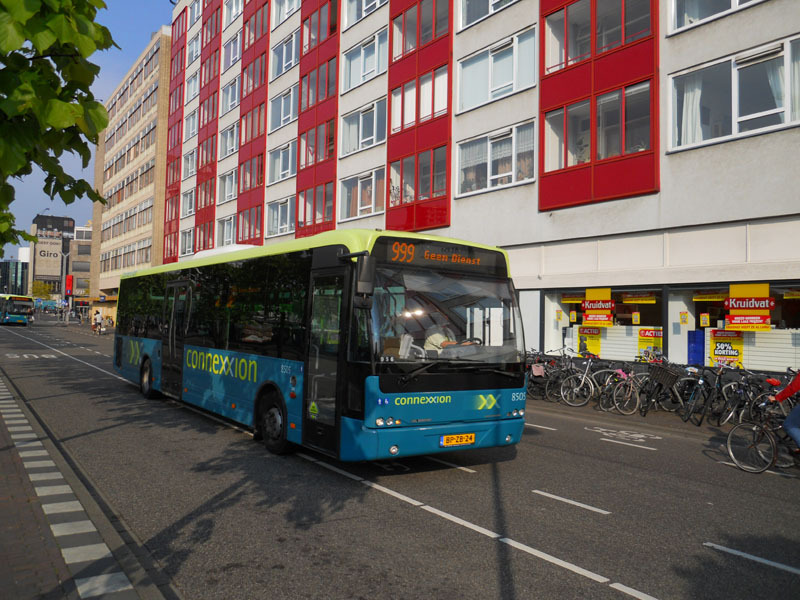 Visit Holland today and you won't see a yellow bus in sight, the result of revolution caused by competitive tendering which was introduced in 2001. 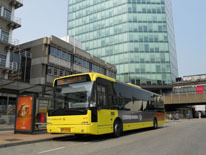 Connexxion, the rump of the state owned business, now finds itself competing with newcomers such as Arriva, Veolia and QBuzz for concessions throughout the country. 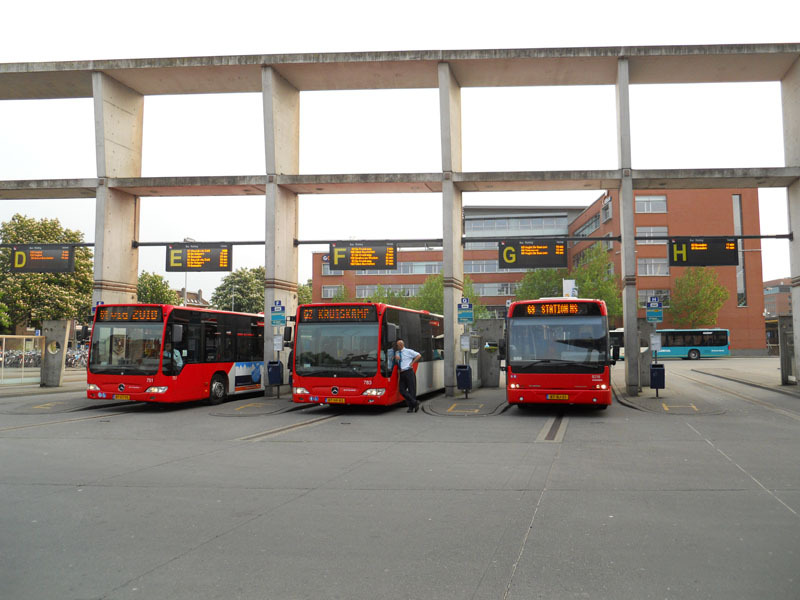 Concessions change hand on a regular basis involving whole scale vehicle redeployment. 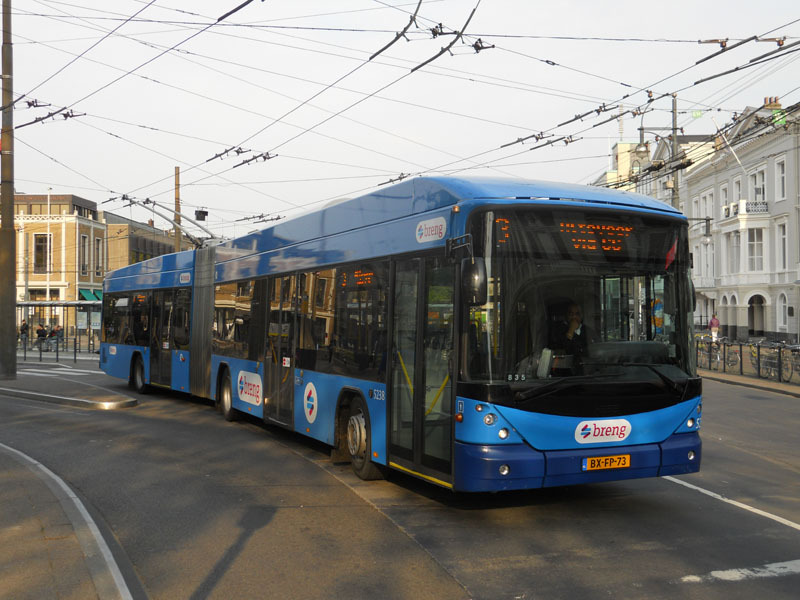 The only trolleybus system left in The Netherlands is run by new operator Breng in Arnhem (top). 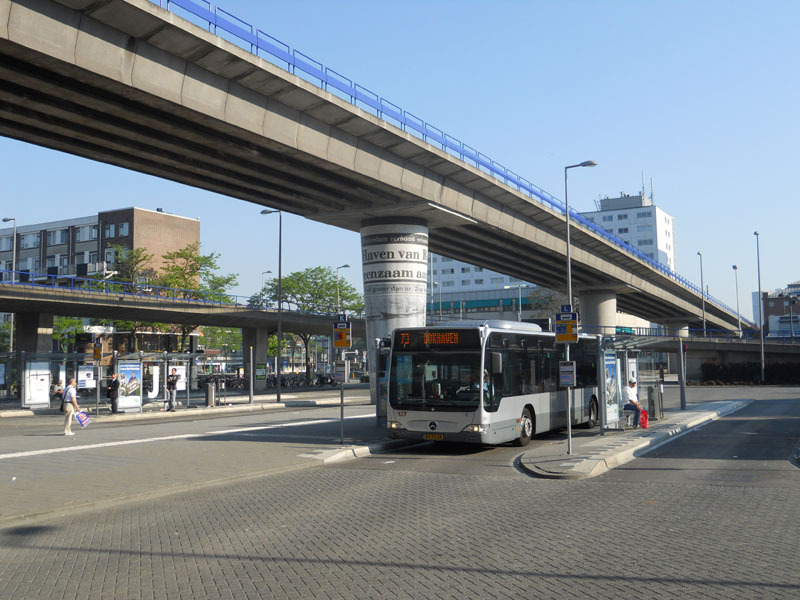 The characterful 1950's trolleystation outside the rail station has been bulldozed and replaced by a vast barn of a concrete building. 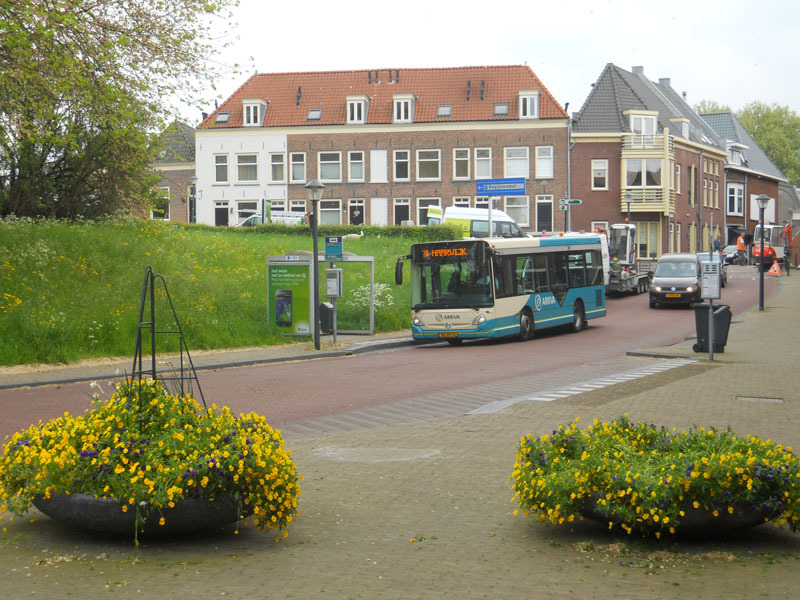 Syntus, who are owned by NS and Keolis, operate in the Veluwe area using new Berkhof Ambassadors painted in standard yellow/white livery and also green and blue (lower left in Deventer). 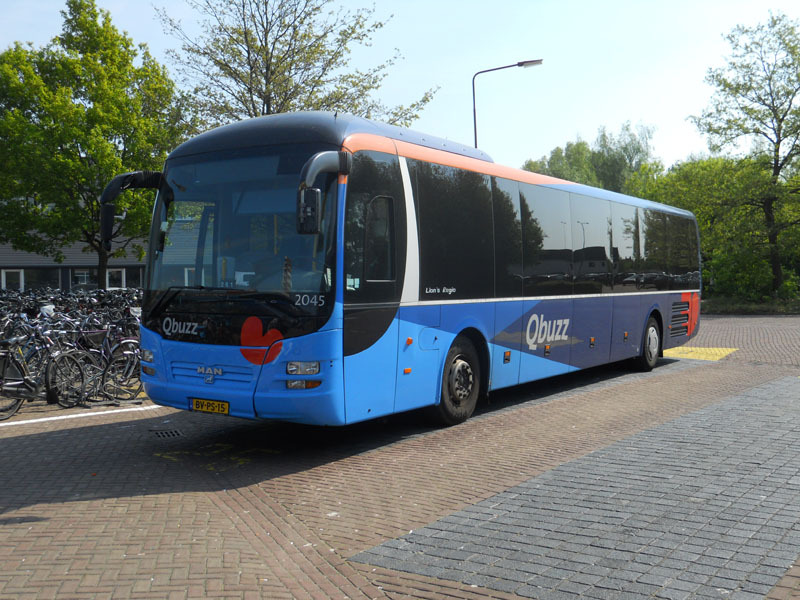 Qbuzz currently operate the concessions in Friesland, although this is about to change again. 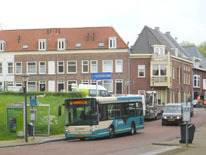 One of their 350 Mercedes Citaros is seen at Drachten (lower middle) and one of their MAN Lion City's is seen at Heerenveen (lower right). 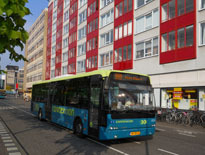 RET is the municipal operator in Rotterdam. One of their Citaros is seen at the Zuidplein transport interchange. 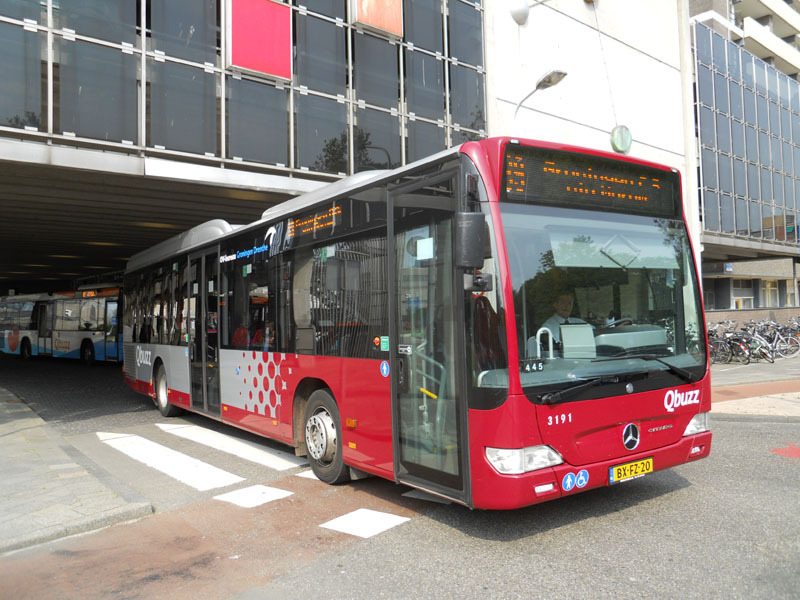 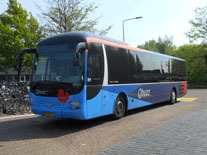 Also at Rotterdam Zuidplein is one of 88 MANs operating for Qbuzz. 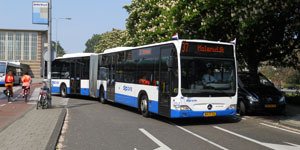 They recenty picked up a small concession in the suburbs of the city. 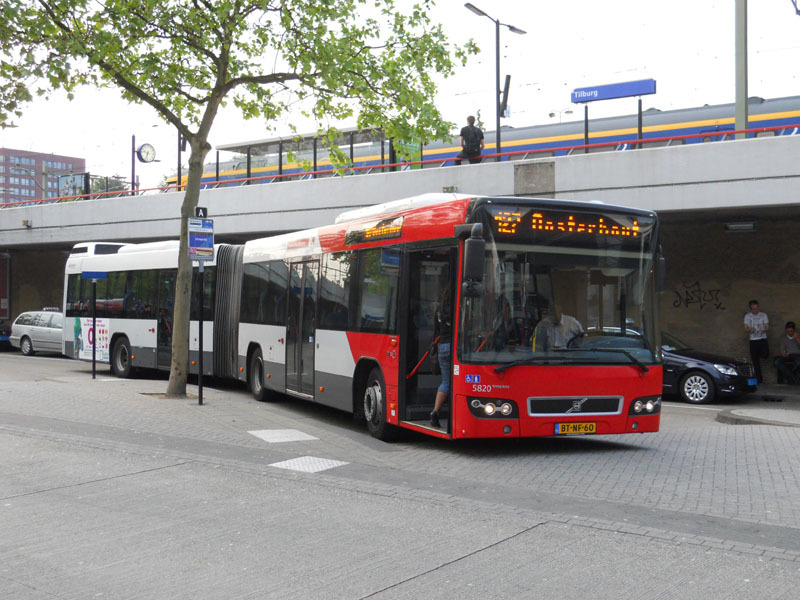 Spot the difference - vehicles from Arriva and Veolia are seen in Den Bosch bus station wearing common Brabant livery. 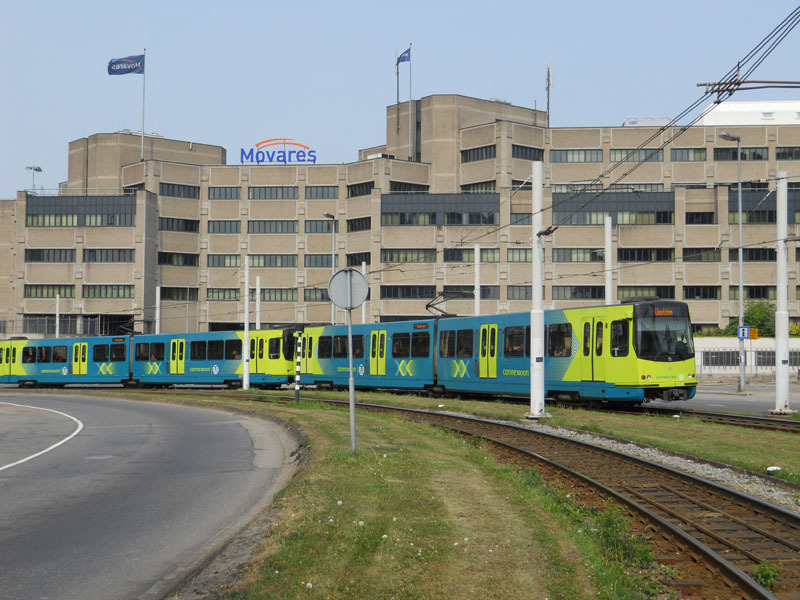 Veolia serve all of Brabant on the Belgian border. 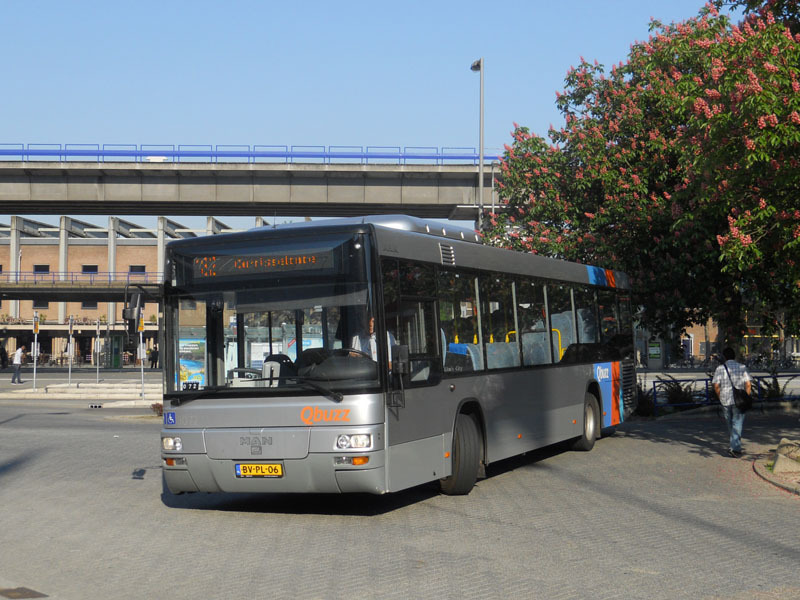 A Volvo 7700 artic is seen in Tilburg bus station. 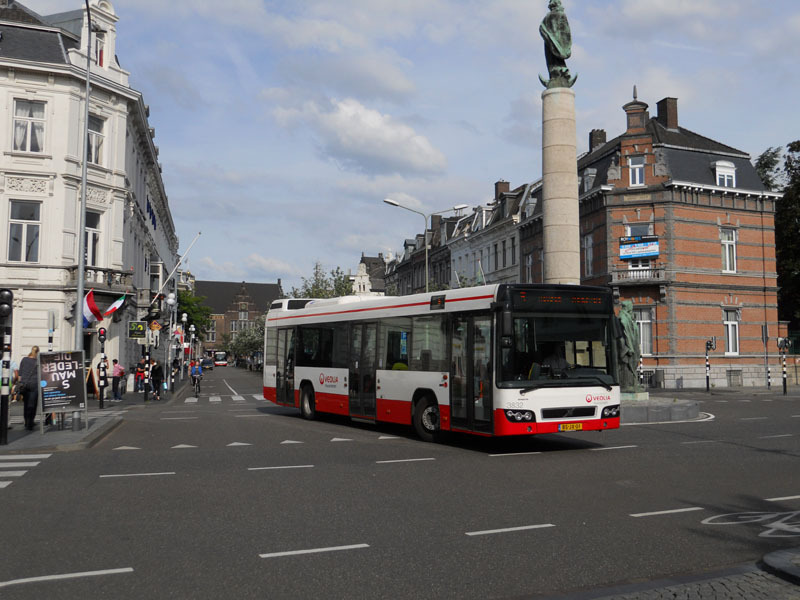 Veolia operate the Limburg concession, using vehicles such as this Volvo 7700 seen in Maastricht. 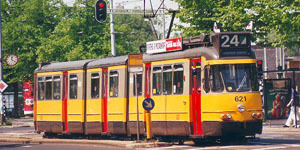 If you enjoyed the above article you may be interested in these articles which were first published in May 2012 and June 2001.